Come Monday and meet Rada Linke , Director for Mastrojanni Winery located in Montalcino, Tuscany. 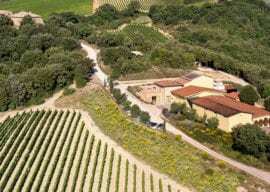 Mastrojanni has become one of the most respected producers in Montalcino. In 1975 Gabriele Mastrojanni purchased the San Pio and Loreto estates and planted his first vines of Sangiovese. In 1992 Andrea Macchetti, a brialliant enologist who worked in the cellars of Villa Banfi, came on board and with the world famous winemaker Maurizio Castelli they catapulted Mastrojanni to the top producers of the region.